Perhaps every day needs to be Earth Day as we begin to adapt to the era of climate crisis. The earth is heating up. “We must make up our minds about it, before it makes up our minds for us,” says Yuval Noah Harari, author of Homo Deus: A Brief History of Tomorrow. His words lead me to ask many questions about my Canada this Earth Day 2018. 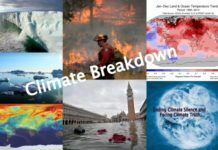 Are we fully aware of the climate crisis? Is our national carbon pricing policy adequate? 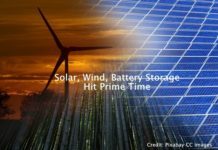 Will we be able to transition to a clean energy platform before it’s too late? 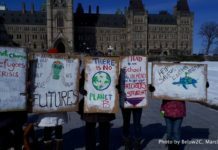 As a member of Citizens’ Climate Lobby Canada, I’m pleased to reproduce (with permission) the following Media Release issued by Cathy Orlando, National Director for CCL Canada to help readers make up their mind about our future before Earth makes it up for us. Canada is at a crossroads which will determine our role in creating the climate conditions of our planet for the next 150 years and beyond. In the next 18 months, Canada will have four critical elections: Ontario, Quebec, Alberta, and nationally. 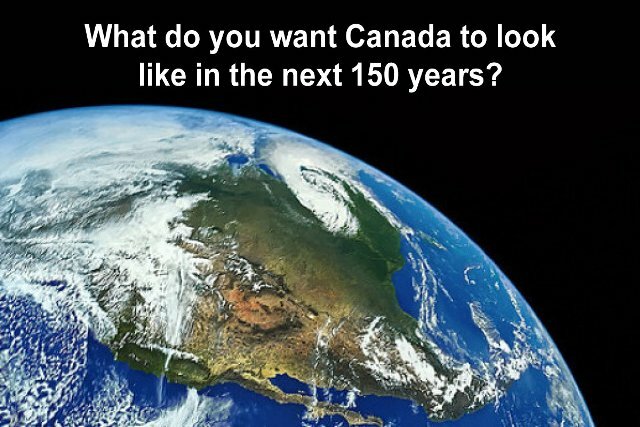 Fortunately, the majority of Canadians understand the urgency of the climate crisis and want our politicians to act. 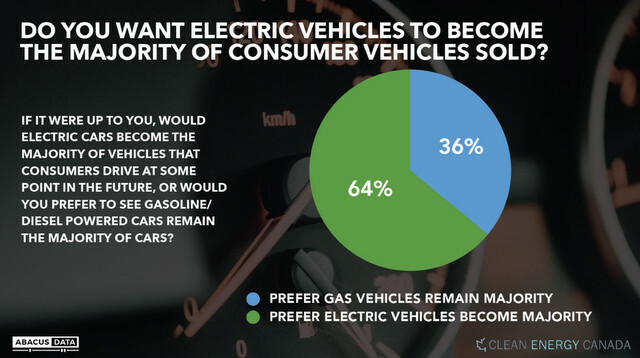 However, recent polling also indicates that Canadians need more education on carbon pricing. 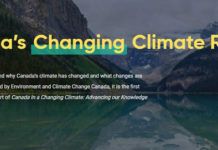 Thus, we have put together this media packet to help Canadians understand the facts about the climate crisis, Canada, and carbon pricing to help ensure that Canada sits on the right side of history. 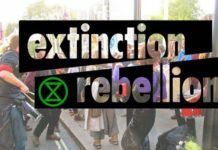 How urgent is the climate crisis? 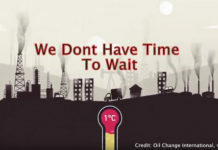 To be blunt the world is dangerously on track to blow the 1.5 C limit. 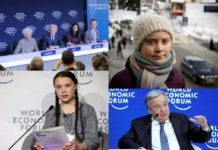 In the November 20, 2017th edition of Nature was the following sober statement: “Even if — and it is a huge if — all countries meet their current Paris pledges, the world will probably heat up by substantially more than 2 °C above pre-industrial temperatures.” Research published in February 2018 concluded that the next five years will shape sea-level rise for the next 300. Lastly, it is not just scientists ringing alarm bells. Mark Carney, the governor of the Bank of England warned last week of the “catastrophic impact” climate change could have on the financial system unless firms do more to disclose their vulnerabilities. Cleantech innovation, how does Canada rank internationally? On January 11, 2018, it was announced that Canada’s global ranking on cleantech innovation jumped from 7th in 2014 to 4th in 2017. 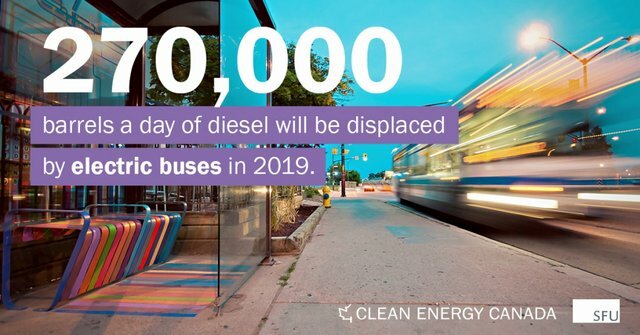 This is probably the result of successive clean-tech friendly policies that were missing from 2008 to 2015 in Canada. For example, there were the unanimous recommendations tabled by the Standing Committee on Natural Resources (RNNR) on June 9, 2017, on de-risking clean technology adoption in the natural resources sector. Future trends look good too. On Thursday, January 18, 2018, Minister Bains, announced that the Business Development Bank of Canada will invest $700 million over the next five years to support Canadian cleantech innovation. How does Canada measure up for greenhouse gas emission cuts? In March 2018, in the historic report, Perspectives on Climate Change Action in Canada—A Collaborative Report from Auditors General, all of Canada’s auditor generals concluded that Canada as a whole is not on track to meet our greenhouse gas emission targets. As well, our national targets are still the highly insufficient targets of the previous federal government. 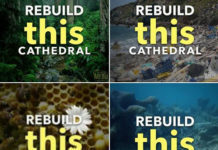 The good news is if Canada fully implements the Pan-Canadian Framework on Clean Growth and Climate Change it is likely to overachieve according to Climate Action Tracker – which are three independent research organizations (Climate Analytics, Ecofys, and the New Climate Institute) that have been tracking global climate action since 2009. 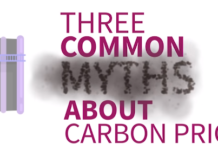 A critical component of the Pan Canadian Framework is carbon pricing. The bad news is that there are axe-the-carbon-tax campaigns simmering in Alberta, Saskatchewan, Manitoba, and Ontario and they are threatening all the good work we have done collectively in our confederation in the past 2.5 years tackling the climate crisis. Can the federal carbon tax be axed? Politicians and far-right-pundits who engage in the axe-the-carbon-tax rhetoric are being disingenuous. 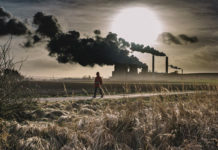 Under the constitution of Canada, the federal government has the right to impose a carbon tax on the provinces and territories according to legal scholar Bryan Schwartz, a lawyer who holds an endowed chair at the University of Manitoba’s law school. Carbon pricing, how does Canada measure up internationally? 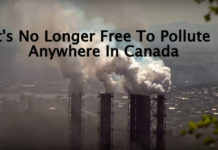 Many Canadians may not know that Canada is one of the world leaders in carbon pricing. Case in point: Canada is the high-level co-chair of the Carbon Pricing Leadership Coalition (CPLC). The CPLC is a voluntary partnership of 32 national and sub-national governments, 150 businesses from a range of sectors (including oil companies) and regions, and 67 strategic partners representing civil society organizations, NGOs, and academic institutions. How are the provinces with carbon pricing performing economically? The four provinces with carbon pricing policies, Alberta, BC, Ontario, and Quebec outpaced the rest of the country in economic growth in 2017. How could Canada’s carbon pricing be improved? Not knowing if Canada’s carbon fee will continue to rise beyond 2022 makes planning difficult for Canadian businesses that need to take a longer view. 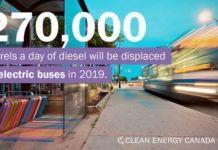 Also, a five-year commitment is not enough to meet Canada’s goal of reducing greenhouse gas emissions to 30 percent below 2005 levels by 2030. Thus, the government should extend the rising fee on carbon to 2030. In addition, there must be clarity from the federal government on the comprehensiveness of the national carbon price plan. Excluding some sectors from a carbon tax unfairly burdens certain industries more than others, and undermines Canada’s climate commitments. A comprehensive fee applied at the wellhead and point of entry for import in all provinces will most effectively reduce Canada’s greenhouse gas emissions while providing powerful incentives to invest in the clean energy economy. We also urge our government to impose border tax adjustments. Such a measure would affect change by incentivizing non-carbon-taxing jurisdictions to become more environmentally responsible while helping our national economy establish an equal footing in the global market. To be effective, the price of carbon must rise to $100-150 tonne by 2030. Can Canadians afford it? 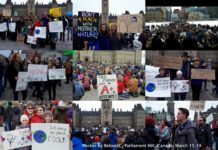 Citizens’ Climate Lobby Canada has long advocated for carbon pricing to be revenue neutral, with 100 percent of the money given back to citizens. This policy is called carbon fee and dividend and it would spare the poor and middle-class from price shocks as we transition away from fossil fuels. 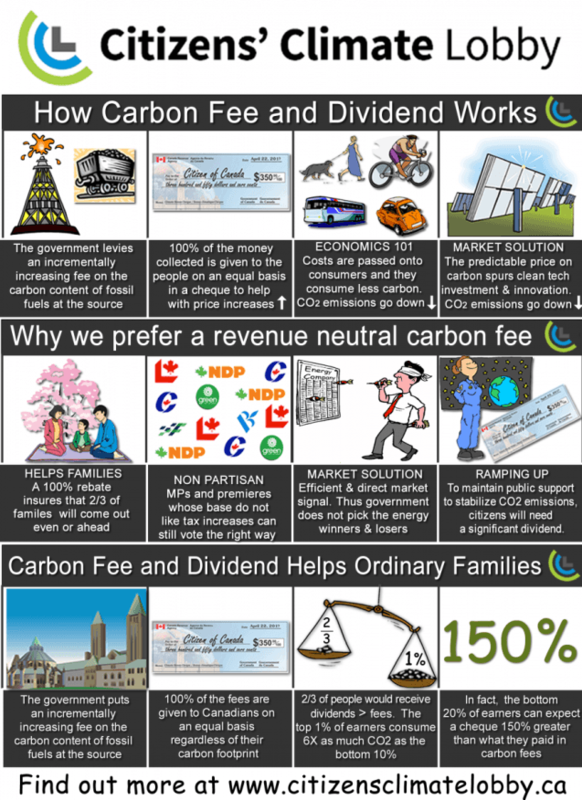 What are the carbon pricing details of Canada’s Greenhouse Gas Pollution Pricing Act? In the fall of 2018, all of Canada will have a carbon price of $10 tonne and it will continue to rise $10 per year starting in 2019 to $50 per tonne in 2022. On January 15, 2018, the Canadian government announced more details regarding our national carbon pricing policy in the Greenhouse Gas Pollution Pricing Act. Provinces and territories have three choices with their carbon pricing policies: create their own policy; accept the federal backstop program of a revenue-neutral carbon tax and strike a deal with the federal government on how to recycle the carbon tax revenue; or if they choose to do nothing the federal government will impose its carbon pricing backstop policy. Although the imposed carbon pricing backstop policy will not be finalized until later this year, in an interview with the Canadian press, PM Trudeau expressed his preference that there be carbon rebates directly to people in holdout provinces, making the Canadian federal backstop carbon pricing program the first carbon fee and dividend system enacted in the world! As well, a federal Finance Department document noted the overall approach will be reviewed in 2022, “to confirm the path forward, including continued increases in stringency in future years” which is highly supported by Citizens’ Climate Lobby. Right now, Parliament is failing to take effective action on climate change, and it’s a failure that jeopardizes not only our nation but the entire world. However, for the most part, it is not for lack of trying by some politicians. They have been up against formidable forces. 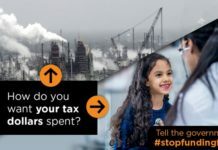 Fossil fuel companies have known about the risks of climate change for decades (Exxon knew) and ongoing misinformation campaigns on climate change have handcuffed politicians. We can’t just sit back and watch our climate fall apart like some bemused third party. The fact is that in democracies, politicians do not create political will, they respond to it. This is a time when it’s absolutely essential for all of us to hold politicians’ feet to the fire. This is a fight we all need to be in – the people, the politicians, and our media. Time to stick with theoretical & applied sciences — We trust it with our lives when we board an airplane. We trust ‘experts’ for open heart surgery. We trust it in so many ways we don’t realize how much we trust it implicitly, even if it’s just taking the elevator to the 10th floor of a building: the elevator? no! more like ‘how can that 10th floor *be*? Why reject it when science tells us we must change our habits? Of course, we’ll have a rationalization about that: 1rst, “change”; 2nd, “habits”. The two thing we tend to rationalize the most about. For we tend to embrace change mostly when the habits that are of concern aren’t ours. For one, change the way we discuss issues — And thus we see/hear of “green technologies” which don’t mean a thing. Greenwashing comes easy. “Low system-life-cycle carbon technology” would be better. This, for one, would spring questions about individual-rooftop-PV in many regions within Canada. For its “system-life-cycle carbon” isn’t so cute when one feeds the equation with 1) the low cost Chinese made PV from a coal-fired electrical grid, and 2) the local solar irradiation throughout the year. Oh! 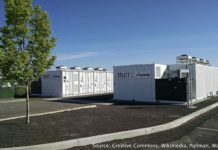 And 3) the battery storage: “low *system*-life-cycle carbon technology”. The complete *system* required for a “solution” to work. And although Gen-II LWR nuclear is a no-no, one would recognize Gen-III+ and the coming Gen-IV are different. 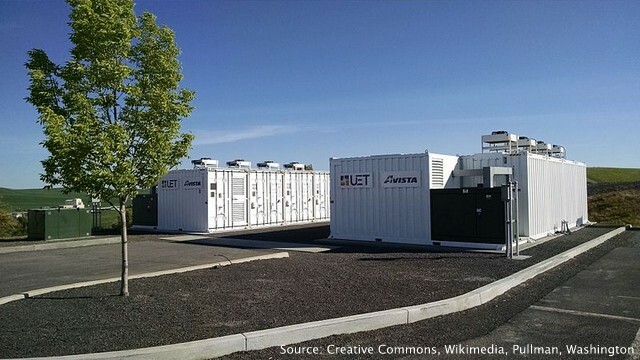 “Low system-life-cycle carbon technology” is what we must talk about and embrace. Thank you Guy for your well-informed comments. This phrase stands out for me “For we tend to embrace change mostly when the habits that are of concern aren’t ours.” Of course it’s so easy to accept change when it only affects others, unless it’s winning a lottery or inheriting a fortune. And I agree with your suggestion that the dialogue should be framed around what it will take to adopt “low system-life-cycle carbon technology”.